I always make these for my cross country team to eat at our pasta dinners. They?re so good we joke about them being drugged. Everyone loves them so much they get so excited when I walk through the door. 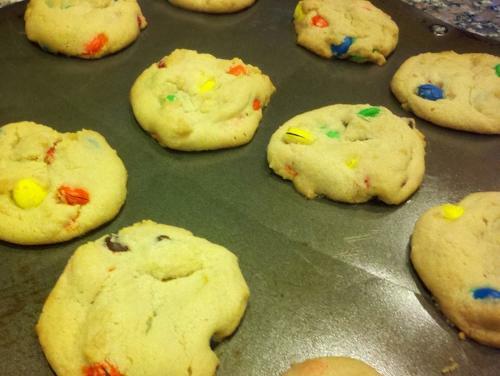 Our grandkids love making M&M cookies - mixing in M&Ms is a lot more fun for them than mixing in chocolate chips. These go very fast at our house. If you don't have M&Ms, 2 cups of semi-sweet chocolate chips work just as well. 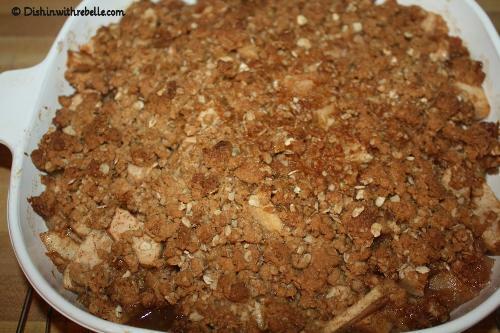 This crisp has a crunchy, crumbly topping with a warm and soft center. Topped with ice cream, it is sure to be a hit. These cookies can instantly become a Holiday staple for your family like it has with mine. These taste just like an orange creamsicle Ice pop. 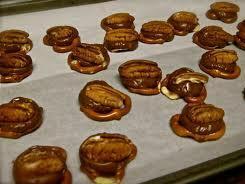 These are a huge crowd pleaser and are simple to make. Absolutely no baking required. This is a favorite among my family and friends, I get scorned if I don't bring it to get-togethers. It's easy to make and can be prepared just in time, or way ahead of time. 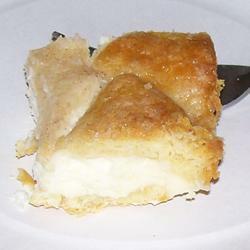 A delicious, indulgent, cream cheese filled, cinnamon topped bite sized treat that is sure to make anyone smile and ask for more. 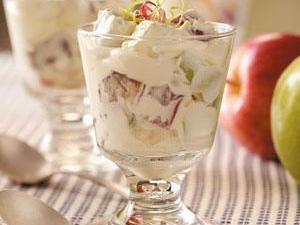 This creamy, sweet salad with crisp apple crunch is a real people-pleaser. It makes a lot, which is good, because it will no last long!!! 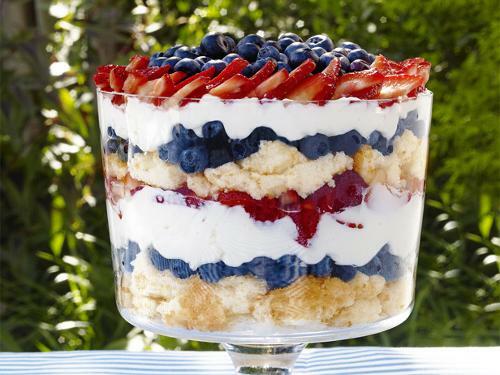 A festive easy to prepare trifle. My family loves it and requests it for all Patriotic Holidays! You will need a 16 cup trifle bowl or glass bowl. Great peanut butter cookies with just peanut butter, sugar and an egg! 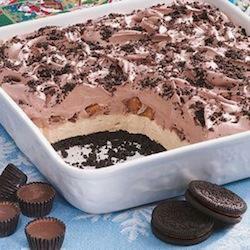 This isn't my original recipe, but I love to make this for a fast, easy holiday dessert!